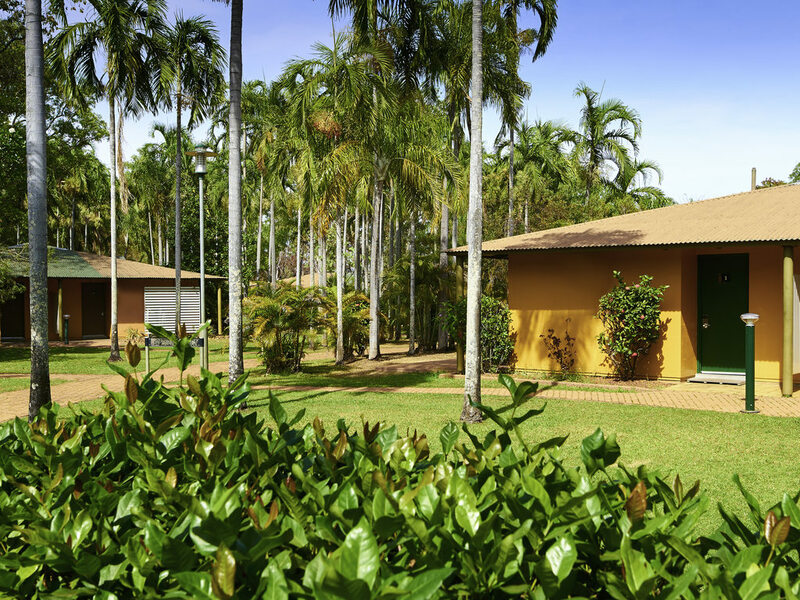 Cooinda Lodge Kakadu is your gateway to the UNESCO World Heritage listed Kakadu National Park in the Northern Territory of Australia. Owned by the local indigenous community, the lodge offers easy access to Yellow Water cruises, Warradjan Cultural Centre, Jim Jim Falls, Twin Falls, Nourlangie and bushwalks. After a day of adventure or relaxation by our resort style pools, enjoy al fresco dining at Barra Bistro and Bar or relax in the privacy of your courtyard. Located 171 km Southeast of Darwin, Kakadu National Park is a protected area within the Alligator Rivers Region of the Northern Territory of Australia. The park is in the UNESCO World Heritage List. The lodge rooms at Cooinda Lodge Kakadu are perfect to relax after a long day exploring Kakadu. Each lodge features a bathroom, tea and coffee making facilities and a terrace with outdoor seating. Enjoy the relaxed outdoor casual dining experience of Barra Bistro, which offers seasonal produce and recognised Northern Territory favourites. Open for breakfast, lunch and dinner. Sip a refreshing beverage in the al fresco Barra Bar after a long, hot day exploring Kakadu. The Bar is located with Barra Bistro.